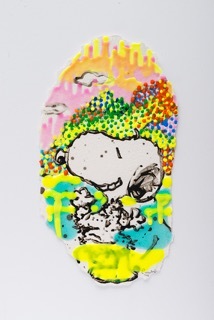 The larger-than-life paintings of Tom Everhart straddle the line between the comfortably familiar and a new way of seeing. 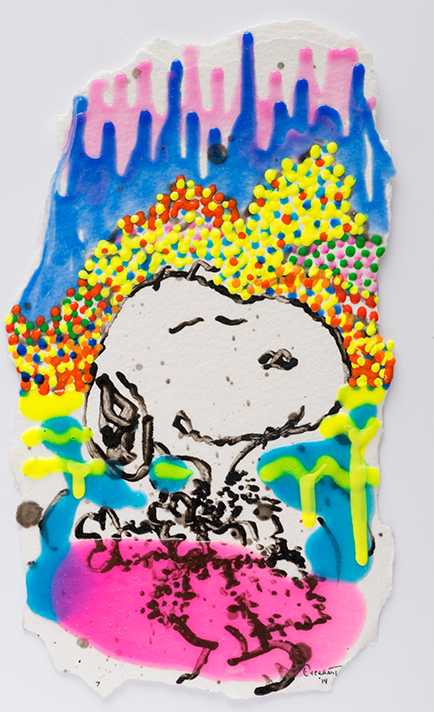 As the only artist allowed to use the Peanuts™ characters in his art, Everhart utilizes the instantly recognizable image of Snoopy to communicate a new sensibility – one that is at once accessible and exotic. 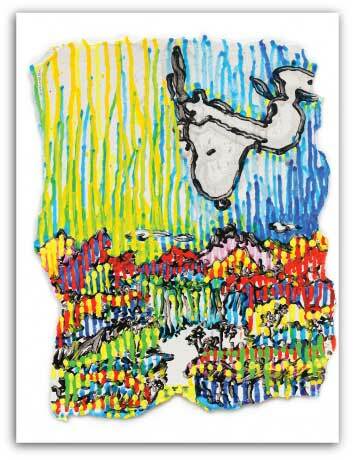 Classically trained with a Masters degree in fine art from Yale, Everhart’s artistic career began in SoHo, New York, with his friends and colleagues, including Andy Warhol and Jean-Michel Basquiat. 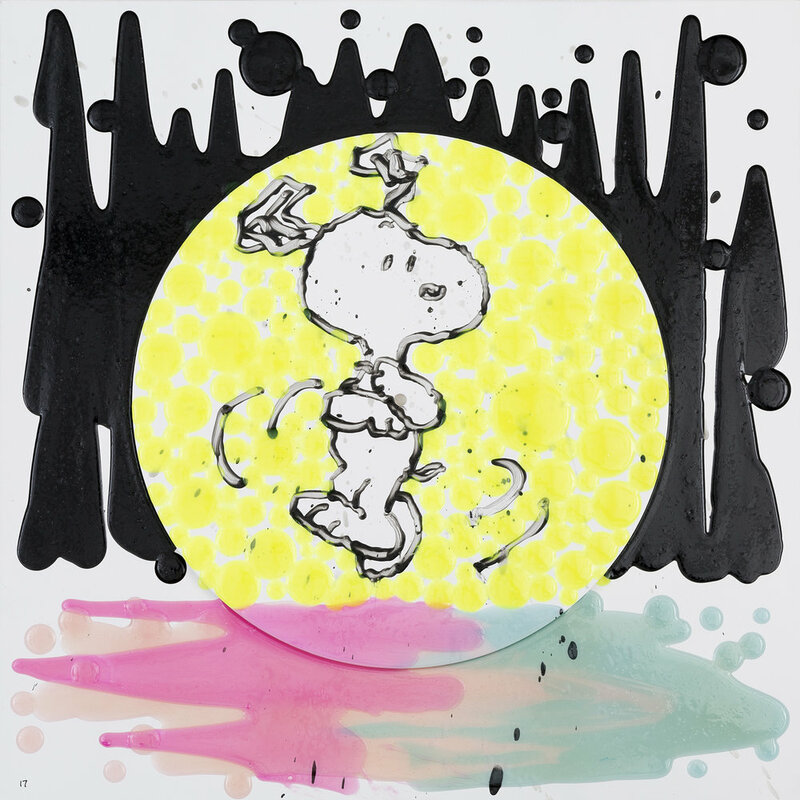 After accepting a commission from Charles Schulz, Everhart became fascinated with the “brilliant architecture of Schulz’s black ink line,” and its potential for monumental shifts in tone and scale. 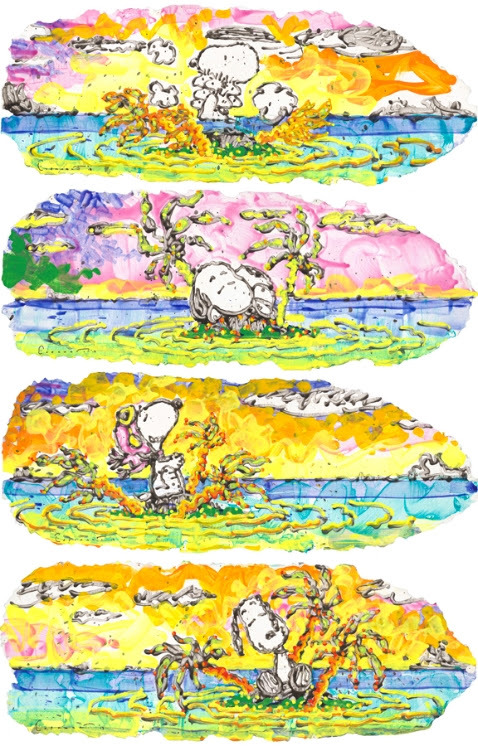 Everhart’s love of Schulz’s line – and his remarkable ability to capture it with his own vivid interpretation – impressed Schulz and launched a friendship that continued until Schulz’s death in 2000. 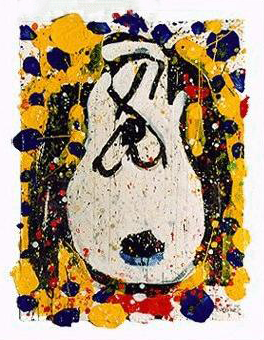 Everhart is constantly in search of what he calls, “the evolution of the mark.” From the expressionist slashes of his early works, to the prismatic dots of the last few years, to the sculptural tendencies of his most recent art, Everhart has an unmatched eye for color and a willingness to experiment with textures and surfaces. 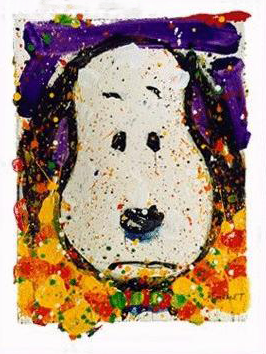 His limited-edition print program has been popular in North America and Asia since the mid-eighties, and Everhart’s paintings on canvas have been exhibited in Museums and galleries worldwide, including the Louvre (Paris, France), Museu da Cidade (Lisbon, Portugal), Suntory Museum (Osaka, Japan), and the Charles M. Schulz Museum (Santa Rosa, CA). 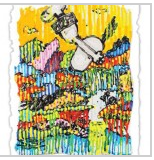 Some notable collectors include Diana Ross, Evan Ross, Jessica and Ashlee Simpson, and Whoopi Goldberg.